! 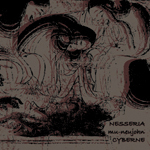 !NESSERIA/mu-neujohn/CYBERNE 3way split CD”SON” Release Japan Tour! !